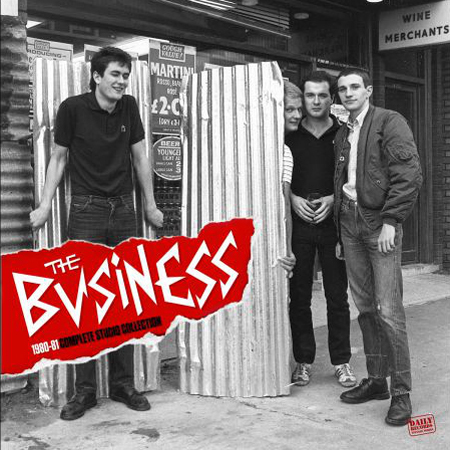 The Business was formed by the ubiquitous Micky Fitz on vocals, Steve Kent on guitar, Martin Smith on bass and Nick Cunningham on drums; the most surprising aspect of this period is the contrast between the usual street-punk sound of some songs as "Suburban Rebels," "No Emotions" or "Richard Lewis" and the much more pop-oriented tunes like the magnificent "Out In The Cold" or "Streets Where You Live" that fall closer to the sound of mod revival bands than other punk-oi bands of the time. On side A, you will find the seven tracks that were officially published (on singles and compilation LPs) while the flipside features the band&apos;s demo recordings. This release features an inner sleeve with information about all the recording sessions compiled on this album and also previously unseen graphic material. Imported from Spain.